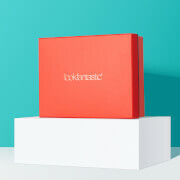 Our lookfantastic x EVE LOM Limited Edition Beauty Box is here, with a total worth value of over S$300! This must-have Limited Edition contains 6 best-selling products from hero skincare brand EVE LOM, including three full-size products! This EVE LOM beauty box is designed to target your skin’s concerns with effective formulas that treat your skin at the deepest level; delivering visible, radiant results! Our lookfantastic Beauty Box team and EVE LOM experts are so excited to present this #LFXEVELOM box to all beauty lovers, with a regime you cannot resist! With an extremely limited number of boxes available, purchase yours today to make sure you don’t miss out.